Inspired by our rugged work boot heritage, our Work Chukkas are casual in appearance, but ruggedly handsome. 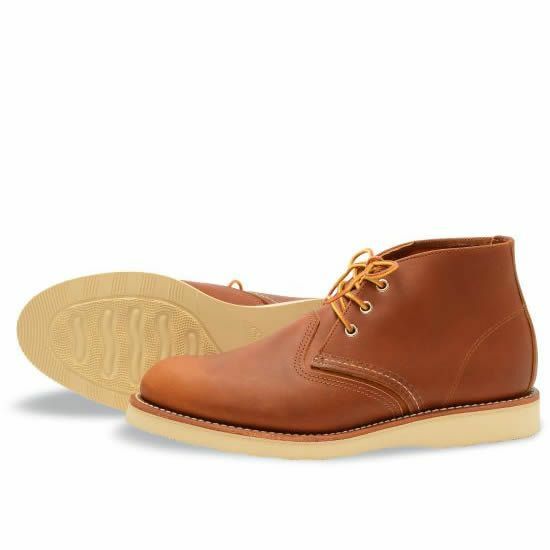 They employ Red Wing’s signature white crepe sole, premium Oro-iginal leather and Goodyear welt construction. The result is a lightweight and comfortable casual boot that is uniquely Red Wing. They’re the perfect shoe for looking busy while not doing anything. Care – Protect your investment.